Monday 4th February 2013. Growing out of afternoon sleeps. When little man goes for a sleep in the afternoon, this is my time to get on with the housework, cleaning, ironing, washing etc. Whilst he is up and awake I like to play with him, paint, bake, go for walks, and generally do things with him that he wants to do. This however all changed in November 2012. One particular day Little man decided he didn’t want to have a sleep in the day. Generally he wakes up between 0730 and 0800 so not too early. Come midday he has his dinner and then goes for a sleep, usually around 1200 til 1400. I thought it would be a one-off and he just had a lot of energy this particular day. For the next few days after he had his sleep like usual. Then come December, he was having no sleep more often than going for a sleep. As you will know little ones are hard work and very demanding. So from Little man being up at 0730 and not going to bed till 1930 is very tiring. It’s now 3 months on and he hardly sleeps in the day at all now. I have to do my housework whilst he is clinging onto my leg, wanting my attention, and getting angry when he doesn’t t get it. Every night I like to make sure I have dinner ready for my partner when he gets home from work, so that’s another time when Little man is wanting my attention again, so it is very difficult. All of this I would usually do while he is asleep, housework, cleaning, dinner prep. Although I know I have to do the housework and Dinner, I feel very guilty when Little man is craving my attention, and I am unable to give it to him as I need to at least do a bit of housework. I have found myself now, leaving the housework till he has gone to bed, then doing it when he is asleep. This means I am then compromising my time with the other half. 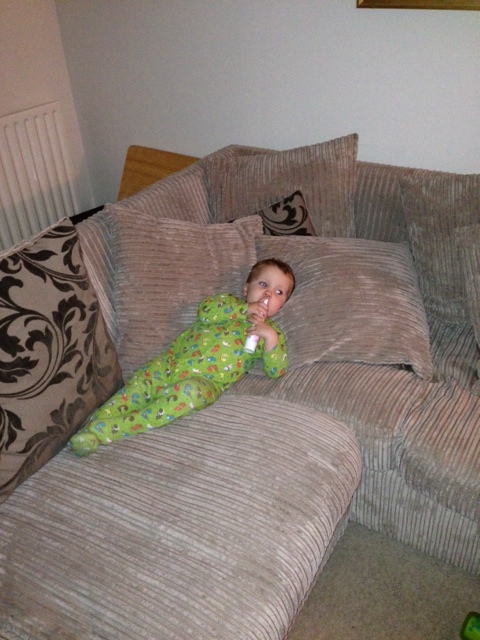 Who is ALWAYS moaning at me to sit down and chill out. I guess it is about getting that right balance. Does anyone else feel like this? You thoughts would be much appreciated.